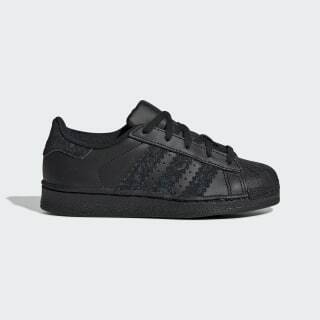 Kids' trainers with extra-wide 3-Stripes. These kids' shoes bring the game-changing '70s basketball trainer to little feet. The leather shoes have extra-wide 3-Stripes that pay homage to vintage street styles while the classic shell toe and rubber cupsole make these unmistakably adidas.